The Hannah table is a round 4-seater table that features a curved lattice design and floral border. The intricate metalwork makes this table a standout piece and the perfect choice for smaller gardens and patios. 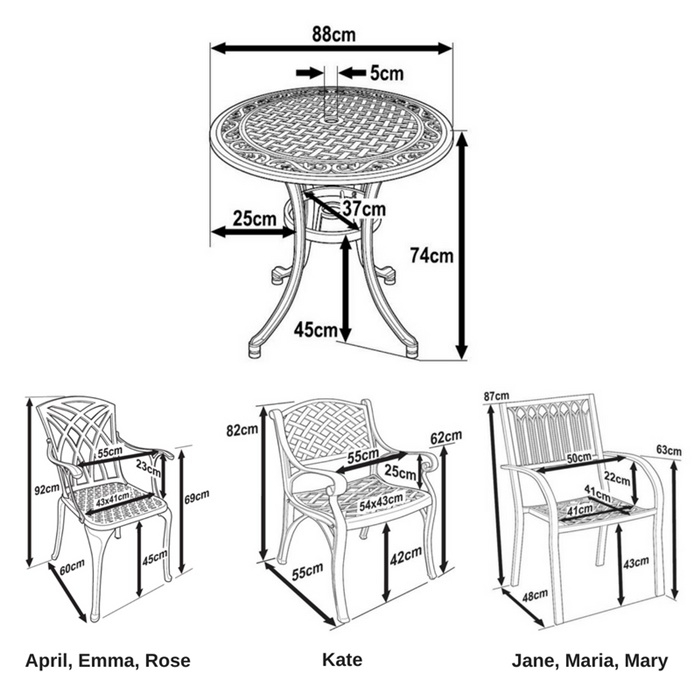 Enjoy the Hannah table for al fresco dining with friends or family and casual drinks in the garden. With the Hannah table you can make the most of long summer evenings. The Hannah table comes with a choice of chairs so you can customise this set and make it your own and it is also lightweight, so easy to move around until you find the perfect spot for it. 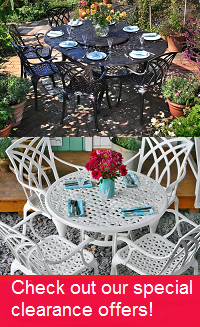 There is high demand for the Hannah table & 4 chair set in timeless Antique Bronze, but why not try one of the alternative colours we have available, such as brilliant white, sleek slate, or summery sandstone to help give your garden a more contemporary update. You could even save yourself a few pounds as we often have some great deals on these stunning alternative colours. Everything good - full recommendation. I ordered the Hannah table with the Kate chairs in bronze. The assembly was very easy and quickly done with two people. 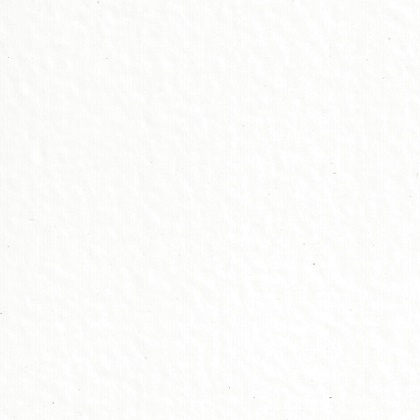 The quality and appearance of the furniture meet my expectations. And the delivery was faster than expected. Fast and without any restrictions regarding both order process and delivery. Very fast delivery and easy to build. Nut cabs are a bit loose but this is the only negative point. We are very glad we purchased this and can recommend this to anyone. Nice and durable garden furniture. Good price-performance ratio. i am very satisfied with my lazy susan garden furniture. Very fast delivery, easy to assemble and great result - what more could you ask for! ?